Our skin is the largest and most noticeable organ of our bodies. We use all sorts of lotions and creams to achieve that clear, nourished, wrinkle-free complexion. Most of us focus on our faces, the most public identifiers. However, focusing too much on the skin of our faces can lead to neglecting other areas of the body like the neck. When’s the last time you moisturized your elbows or even the back of your ears? It might sound strange, but these parts of your body need love too! Consider the neck: a visible, vulnerable area that needs just as much TLC as anywhere else. Fun fact: the skin on your neck is also known as the wattle. Yes, you read that right. This area below your jaw is also some of the thinnest and most delicate on your body. As a result, it deserves as much attention as the face. Because the neck is so unique, most people are unsure of how to treat it. Do you use the same lotion you use on your face? Should you buy a special kind of “neck” soap? Is it safe to use body wash on your neck? What is the preferred product and protocol to take care of your wattle? Many anti-aging products lure in customers by promising smoother wrinkles, faded skin spots, and a tightened “turkey wattle.” These ‘face-lift’-esque formulas are never good for you. Even if they do deliver some of their promises, their short-term cures are filled with all sorts of harmful chemicals. The lotion you use on your face works perfectly for your neck as well. When you get up in the morning and apply lotion, don’t forget to cover your neck. Don’t get to the chin and neglect the wattle! Sunscreen, too. The rays of the sun don’t only bring warmth; they also cause serious UVA and UVB damage to our skin if we are not careful. We tend to put on sunscreen on our faces and arms, but for the most part we forget the neck. This affects the look and texture of the wattle, aging it prematurely and making it sag. No need to dread the “turkey” neck, just prevent it. By using an effective face scrub, you can help to firm up and prevent the loosening of skin. Instead of selling dangerous creams (even if they work), our team here at Maple Holistics uses natural ingredients to encourage body health and lasting beauty. For the wattle, we promote many oils that will help tighten and smooth your neck. 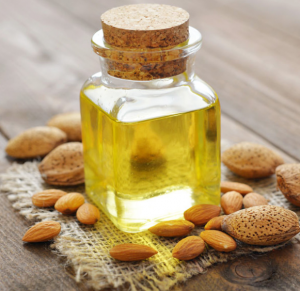 Almond oil is a great wrinkle reducer and skin tightener. 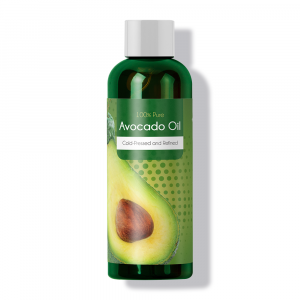 It has high levels of vitamin E, an all-around skin savior. Its light texture allows this potent oil to penetrate deep into the skin for a deep cleanse. The mild oil can even lighten dark spots and sun damage, including unwanted tans, so wave goodbye to that awkward sock tan. Skin irritations, rashes, eczema, and inflammations put up no fight against this powerful healer. Less is more; don’t worry about the price, because a little goes a long way. Cucumbers are more than just a refreshing component of the Mediterranean diet. When applied topically, its powerful anti-aging properties make cucumbers powerful skin tighteners. You’re wrong, Paulo, the vitamin C and caffeic acid in this squash do, in fact, fight to reduce inflammation and irritation in Princess Mia’s skin. Its watery inside hydrates your skin, while the skin of the cucumber firms up sagging due to the high silica content. Aloe Vera is more than just your saving grace after coming home from the beach looking like a red lobster. This plant found a way to thrive under harsh climates, so you can use its powerful adaptations. The leaves hold a lot of water and provide complex carbs (not all carbs are “bad”!) to hydrate and nourish your skin for the tightened complexion we strive for. It contains malic acid, a powerful ingredient that treats roughness, dehydration, discoloration, and clarity to get that smooth, clear skin. There are many more oils that can help firm up the skin on your neck. You don’t need high-priced beauty cream to get real results. Sometimes Mother Nature provides us with just what we need. Stay natural to get that beautiful glow! Become your own masseuse! Regularly massaging your wattle is a great way to care for this vulnerable area. Massaging your body promotes skin elasticity and health. Neck massages help prevent the sagging of the skin and other signs of aging. You can even do neck exercises designed to strengthen your wattle while reducing various signs of aging. Add an oil to the mix and you’ve got yourself a powerhouse massage. Apricot oil, for example, serves to soothe, firm, and tone your skin. Moving and nourishing your skin with this hydrating massage ought to do the trick! When you scrub-a-dub, make sure to treat your neck with the same care as the rest of your body. Divide your body into three segments: the body as one segment, your neck and face the second, and your hair the third. By segmenting your body, you will better ensure that each part of your body, including your wattle, gets the care it deserves. Use your face soap to clear away the sweat and oil on and below the face – pimples can form there too! The analgesic properties of oils can help to relieve neck pain. What a pain in the neck! Besides sagging skin and wrinkles, you may experience neck pain. Not only do massages keep your wattle skin looking young, but they simultaneously help with pain in the area. Whether your neck pain arises from sitting at the computer or strenuous workouts, rubbing these oils into your sore muscles will effectively alleviate the pain. 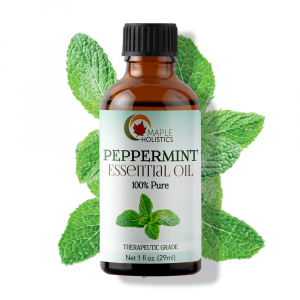 Beyond just a yummy candy for Christmas time, peppermint oil is a centuries-old pain reliever. Its anti-inflammatory properties work to soothe sore muscles and relax tension. And the menthol in peppermint oil can help ease muscle pain. Therefore, the repeated use of a peppermint oil cream can help alleviate neck pain and give you greater mobility. 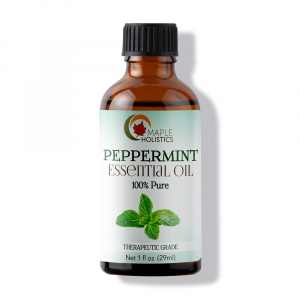 All in all, peppermint oil is an affordable, quick, and easy muscle-relieving cream. Hailing from the Mediterranean area, this purple flower is more than just a pretty face. 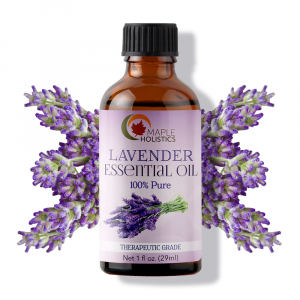 Lavender oil is a powerful pain-reliever with anti-inflammatory properties that holds the power to soothe your neck pains. Even a sniff of this plant can lessen the severity of a migraine. Applying this oil topically is a natural replacement for pain meds with equally powerful results! Maple Holistics is constantly developing new ways to fight the signs of aging naturally so you can look and feel your best! 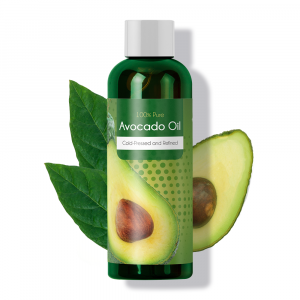 More than just a delicious topping to your toast, avocado oil is another powerful contributor to your skin health. It contains a large amount of folic acid and other monounsaturated fatty acids that keep the skin healthy and youthful. The oil goes deep into the skin to moisturize and hydrate from the inside out. Use these green powerhouses to improve your wattle’s elasticity, because the neck tends to show signs of aging sooner than other parts of the body. Don’t neglect the neck…it needs the same TLC as the rest of your skin! Sagging skin and wrinkles form in the neck area before other areas begin to show effects of aging. But fear not! Age beautifully by utilizing the various products, such as natural oils, that can strengthen and moisturize your neck skin. These products can not only restore that youthful glow to your skin, but also help you rediscover your self-love.